You are going to Watch Naruto Shippuden Episode 303 English dubbed online free episodes with HQ / high quality. Stream Anime Naruto Shippuden Episode 303 Online English dub Ghosts from the Past. With the Allied Shinobi Forces on high alert because of the imposters within their midsts, their worries are further added to when Otogakure’s Sound Four is reincarnated on the battlefield. The members of Konoha’s disbanded Sasuke Retrieval Team, however, make short work of these opponents, displaying just how much they had grown over the years despite the amplification of their opponent’s cursed seals. 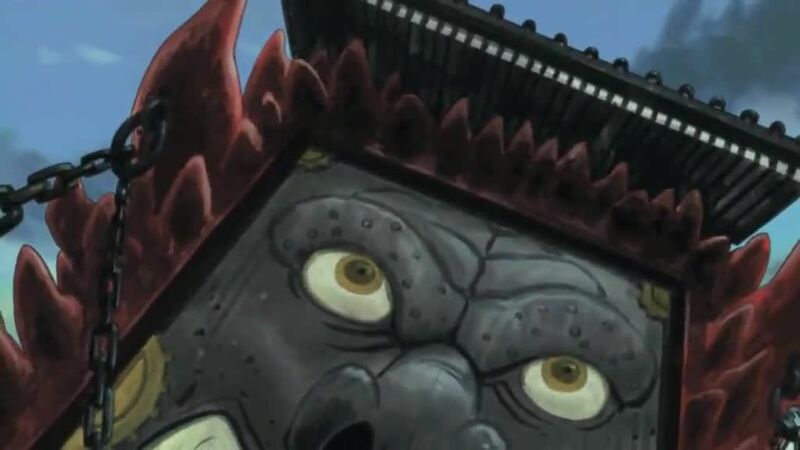 However, the Alliance’s cheers of victory are soon stifled as a seal activates around the defeated shinobi and Kiba, Akamaru, Neji, Shikamaru, and Chōji. Elsewhere, as he moves towards the location, Naruto senses the malevolence on the battlefield and rushes towards his friends’ location.